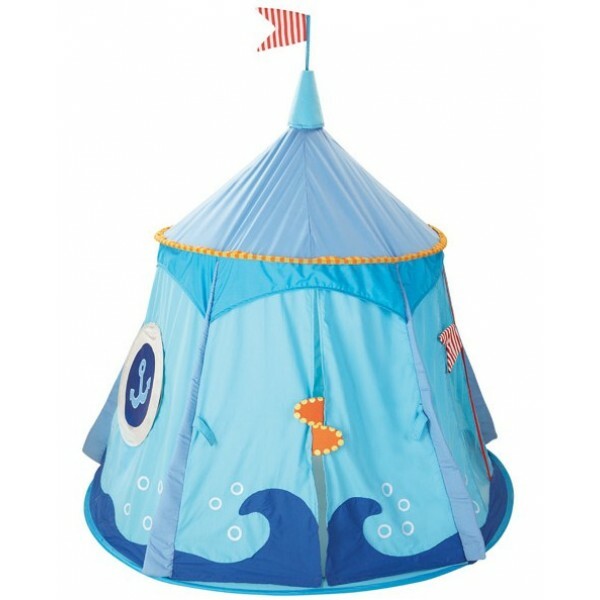 Conquer the seven seas and stave off those ghastly pirates in Haba's pirate's treasure tent. It completely collapses for storage into a zipper carry case (only 19.7" by 19/7" by 4.5" in size), or it can be left up for stylish storage. With a built-in floor mat and spacious interior (47 by 49 inch floor space assembled), it's also large enough for two to play. 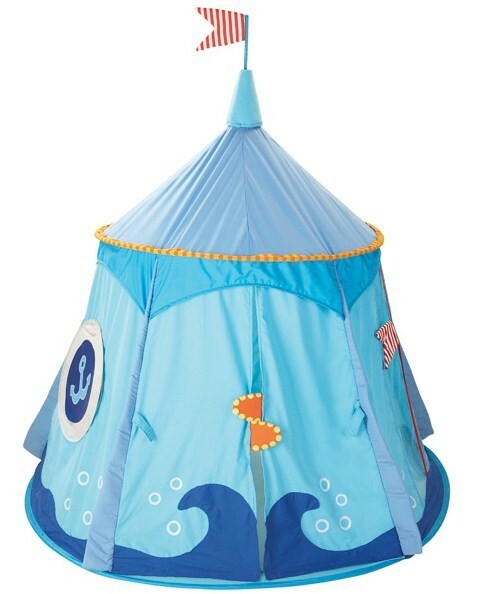 The cotton-polyester mesh and plastic rods make it sturdy enough for play, but easy to collapse when necessary.